Google+ has been steadily gaining ground as the social media network continues to introduce a slew of new features and improvements. The latest Google+ updates include a variety of enhancements designed to make the social network even more attractive to new and prospective users. These include upgrades to profile pages, a new section to house local reviews, and a redesigned “About” tab for better organization. TechCrunch.com, along with the Google+ site, offered a closer look at the network’s most recent tweaks to its social image. 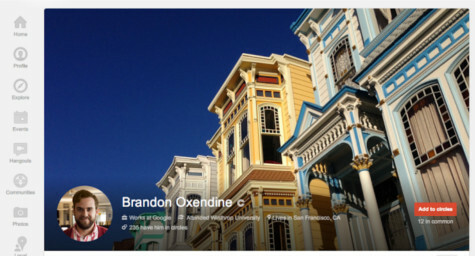 On the Google+ profile pages, users will now be able to have much larger cover photos with a better aspect ratio that can actually be expanded up to 16×9. This will let users have more images as cover photos and be able to see them in richer detail. 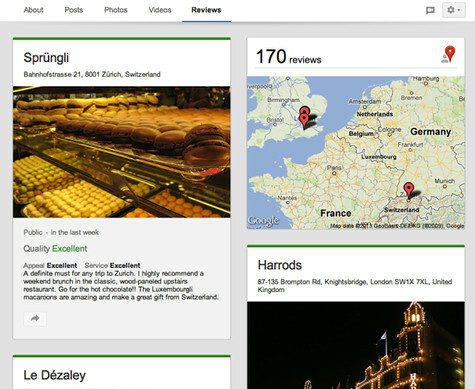 Another upgrade involves users’ reviews of local establishments, which will now have their own tab. Users have the option to either hide the tab or let it openly highlight their favorite restaurants. Finally, the Google+ “About” tab features a new layout that organizes all of the user’s information onto individual cards. Each card has its own editing link to make updating personal information quick and easy. Google+ just announced these updates and is rolling them out gradually, but users can expect to see them very soon and look forward to enjoying a better Google+ experience.